Join us at the 2018 North Chicago Community Days! 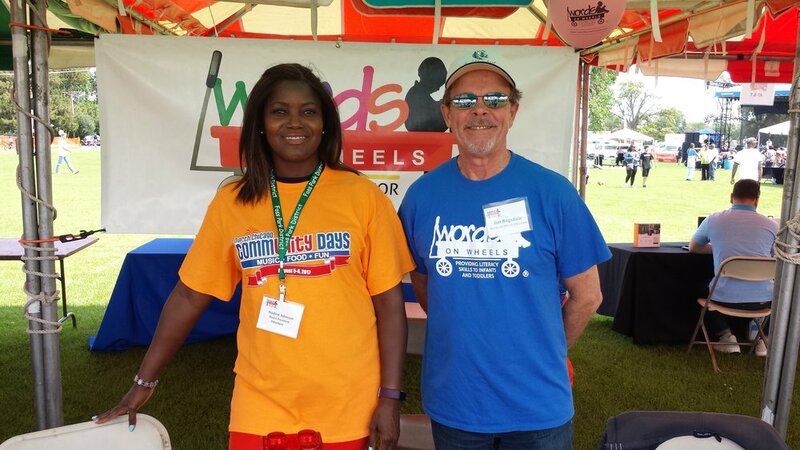 Words on Wheels will be one of the vendors, and we will be passing out FREE books and other goodies to children. We will share information about our organization and our mission. Find us at vendor tent area. This annual community event in North Chicago, Illinois will have many fun activities, such as a parade, a car show, live entertainment, petting zoo, and food vendors. We will also be marching in the Community Days Parade. WE NEED WALKERS for this parade. We will pass out candy and bubbles. Please contact Beth@WordsonWheels.org if interested. Visit "City of North Chicago Community Days" Facebook page and http://www.60064.org/ for more information and the day's schedule of events.